I know I bragged about being perfectly happy sans food processor, but apparently, only fools don’t change their minds. So I’m here to confess that I recently caved in and bought a KitchenAid. Let me reassure you that I only paid $120 for it, thanks to Craigslist. Speaking of which, did I tell you I sold over $800 worth of possessions online this summer? Crazy how much stuff we accumulate over time. I’ll leave that story for another post. Every Thursday from August to October, there’s a farmer’s market on the downtown campus. When in need of a break, I’d often peruse the various stands and end up buying local produce to complement our weekly vegetable box. 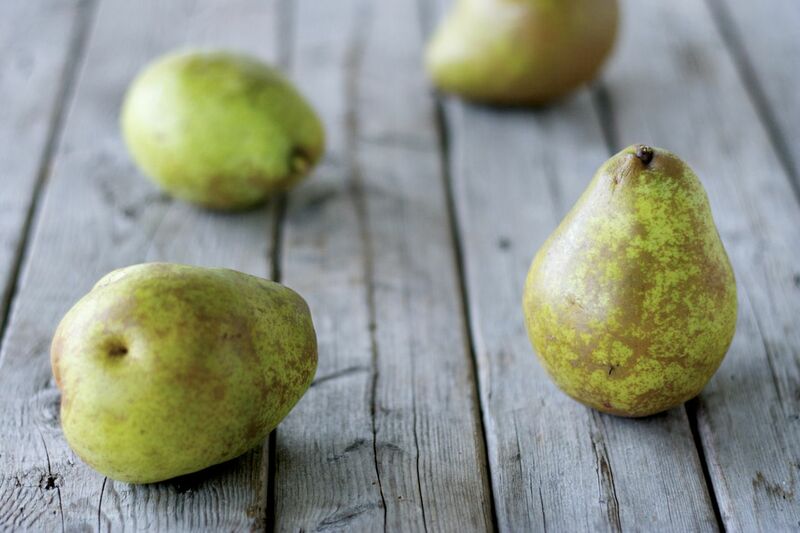 In fact, that’s where I got these beautiful pears. As for these delicious beets and red peppers, they were grown on the MacDonald campus farm. Sadly, farmer’s market season is now over, so I’ll have to find another way to decompress on Thursdays. This vegan coconut-pear tart is truly delicious. It’s quick to prepare as no baking is required. Most importantly, it’s a healthy treat that you can indulge in without guilt. It’s so healthy that we shamelessly ate it for breakfast the next day! Start by making the tart filling. 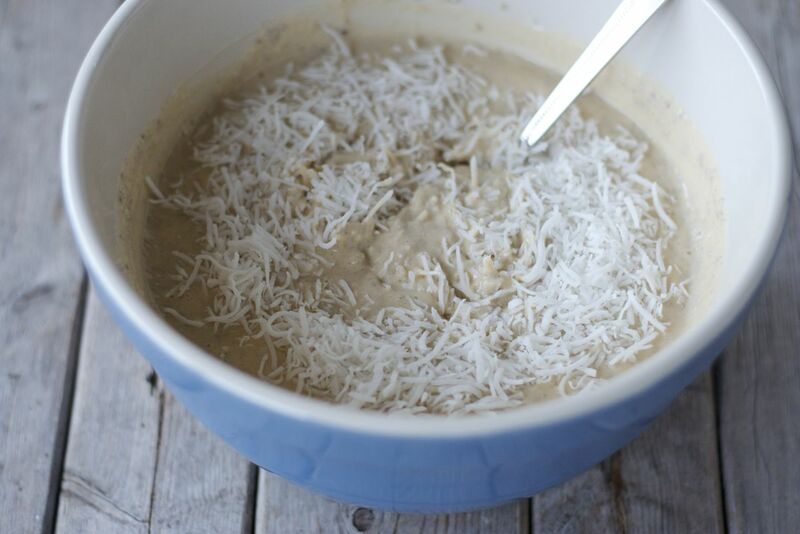 Drain the silken tofu and add to the bowl of a food processor. 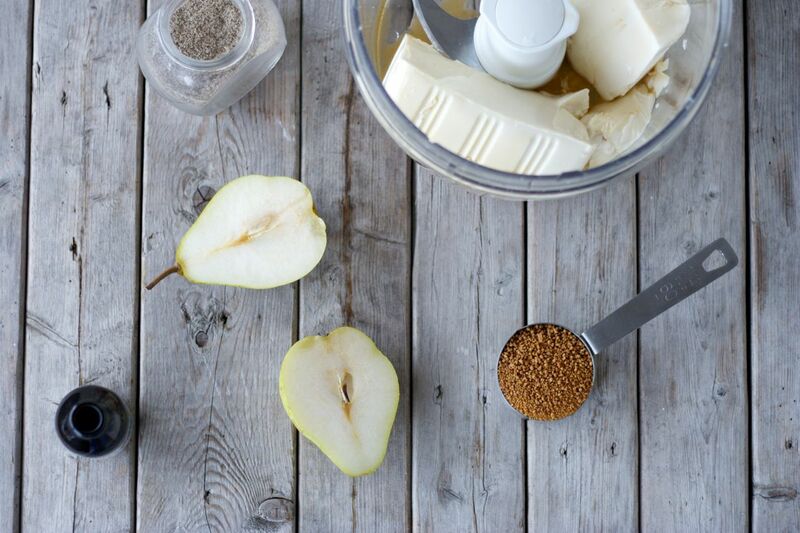 Add the coconut sugar, vanilla extract, ground cardamom and the pears. Process until smooth. Transfer the tofu mixture to a mixing bowl. Add the chia seeds and the unsweetened coconut flakes. Stir to combine. Let sit in the refrigerator for at least 20 minutes. 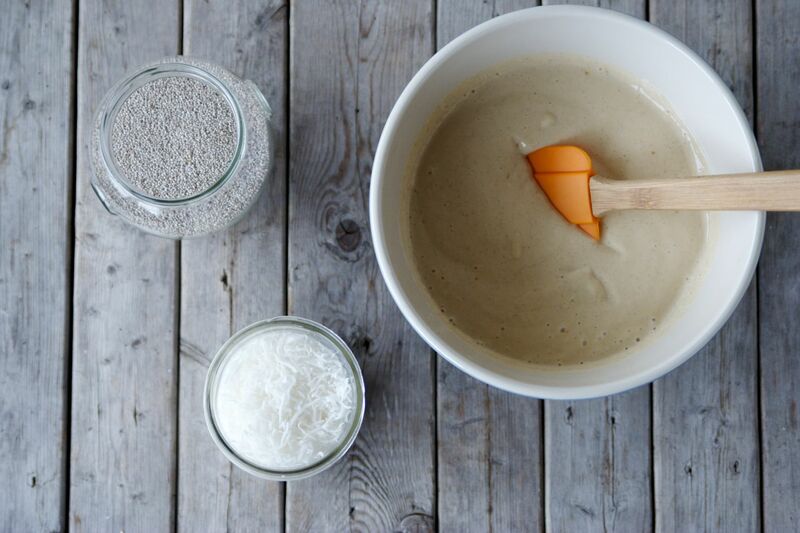 The chia seeds are famous for absorbing liquid, which will result in a thicker tart filling. 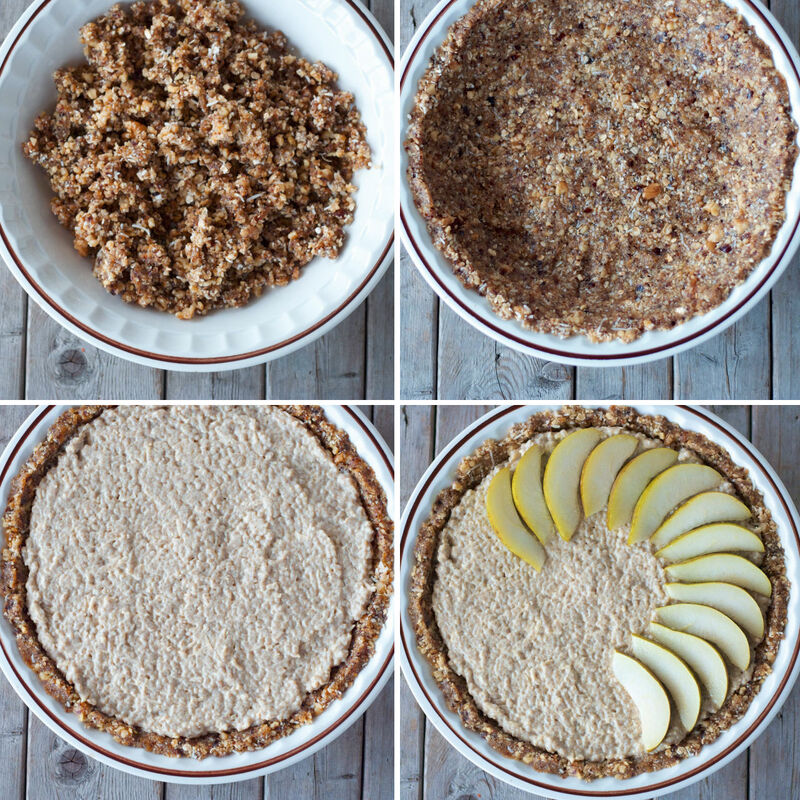 Meanwhile, prepare the tart crust. 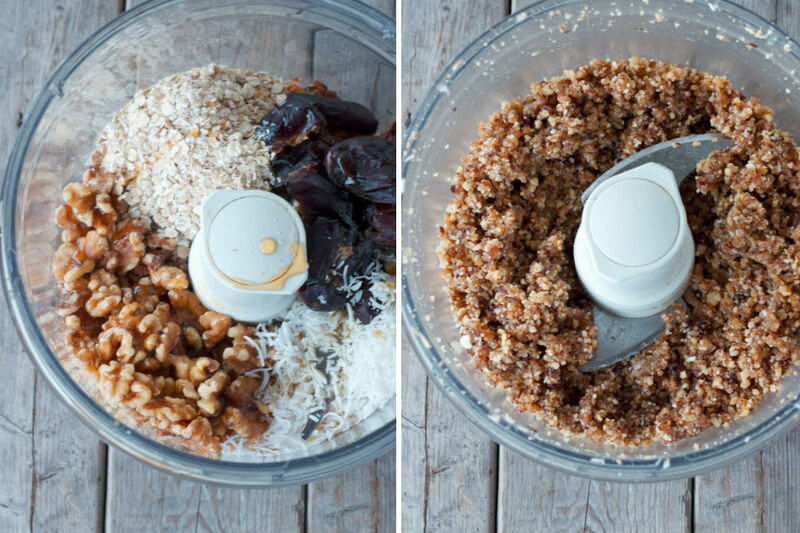 In a clean food processor, combine the walnuts, dates, quick oats, unsweetened coconut flakes and maple syrup. Process until you get a coarse mixture. Core the pears and slice lengthwise. Drizzle with some lemon juice to prevent browning. Transfer the walnut mixture to a pie plate. With clean hands, press it down into the plate. Pour the tart filling into the crust and flatten the surface with a scraping spatula. 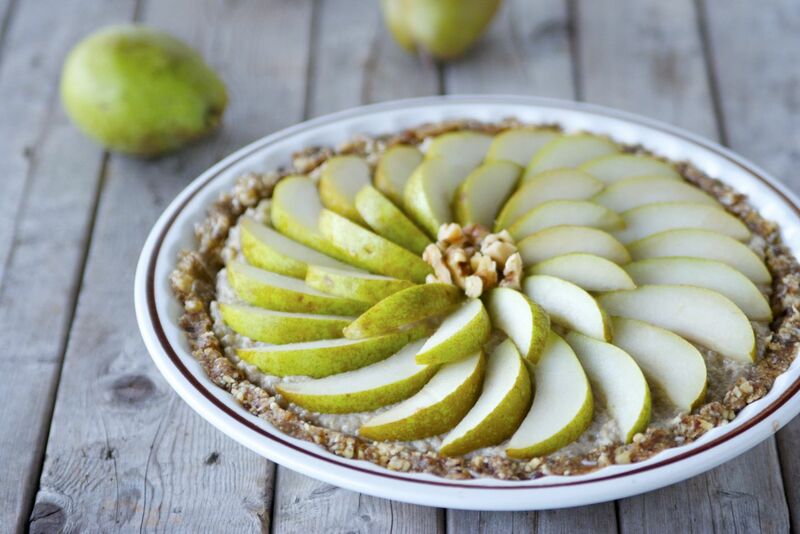 Decorate the tart with the pear slices. Top it off with chopped walnuts. Voilà. Refrigerate for one hour before slicing. Best enjoyed within two days. 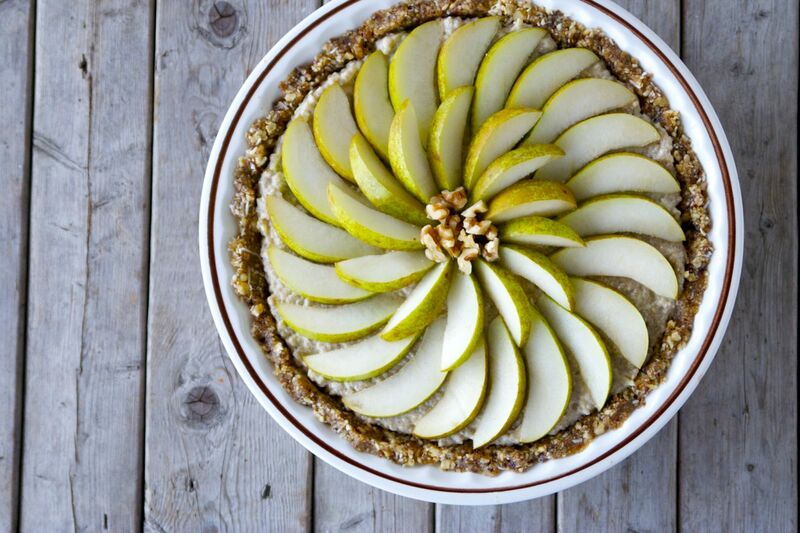 Serves 8.Recipe inspired by a beautiful pear tart with cashew pastry cream on Helyn’s Healthy Kitchen. The filling tastes great as a pudding…..I found that it reminded me of Greek yogurt….. I will make this again……. I’m glad you liked it Lea!